Who doesn't have a guilty pleasure?! Let's talk about them! I've actually always been divided on the term, because why should we feel guilty about anything that brings us pleasure. If it doesn't bring joy to someone else, to each their own. Maybe you like a huge percentage of the 80s one hit wonders. Maybe you like to watch countless hours of reality TV. Maybe you still have your favorite shirt from the 90s and bust it out every now and then. And if you're me, maybe you are guilty of all three of those specific examples! 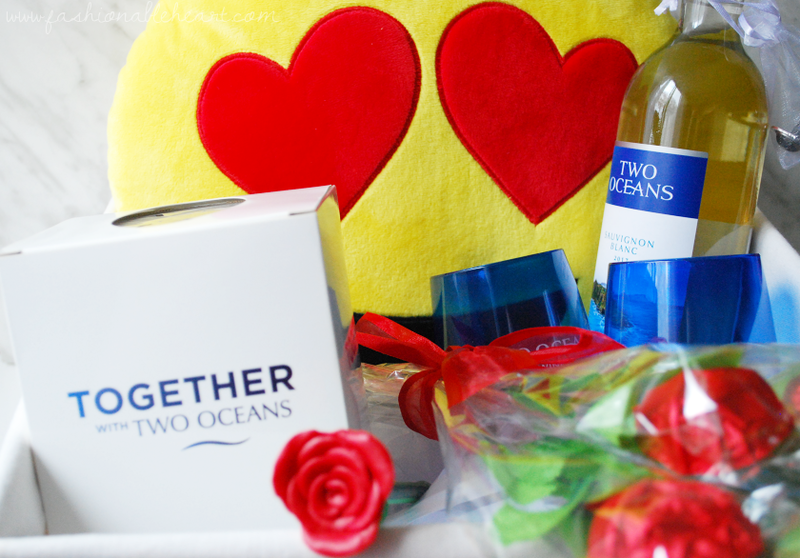 For the second year in a row, Two Oceans is a sponsor of The Bachelor Canada. Honestly, if you've ever watched any episode of The Bachelor or The Bachelor Canada, then you know that's a good pairing! As a sports fan, it's exciting to see Chris Leroux as this year's The Bachelor Canada. He was a pitcher in the MLB, though he didn't play for any of my favorite teams. I always like when reality shows cast someone I already know. I love all-star seasons or when a returning cast member comes back and I especially love celebrity editions. I'm already counting down for the celebrity edition of Big Brother (US) early next year! 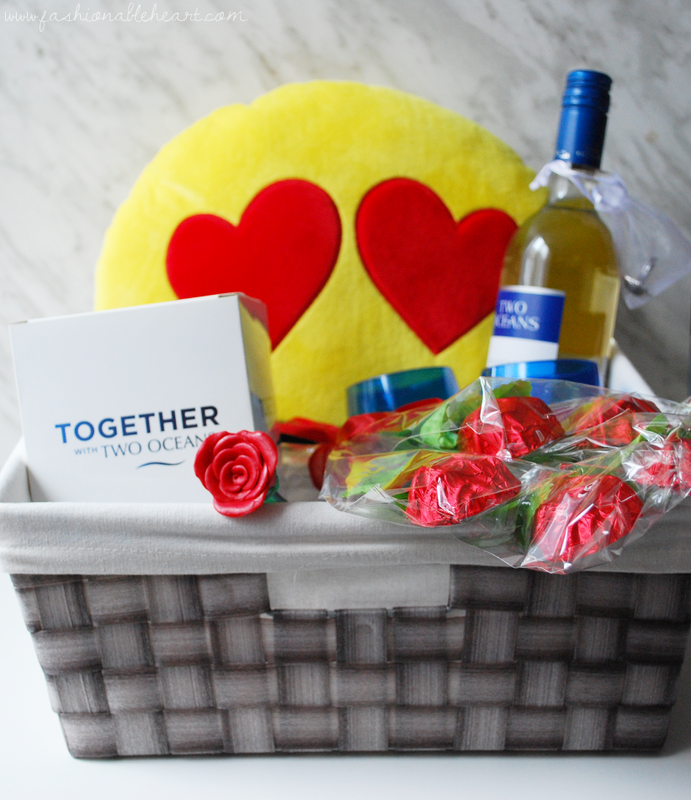 In honor of Two Oceans Wine sponsoring The Bachelor Canada, they sent me this amazing viewing basket. They put so much thought into it and I can't wait to dive in tonight. The heart-eye emoji pillow is so me, because that is definitely my most used emoji. Hands down! I cannot wait to use that rose pen when writing in my planner or even just the grocery list. I have a feeling I'll be fighting my husband over the chocolate roses. If he's offered one, I know he'll accept...and probably run off with three others. Ha! The tissues have already come in handy when I watched an emotional video on YouTube yesterday (yeah, I'm that person). 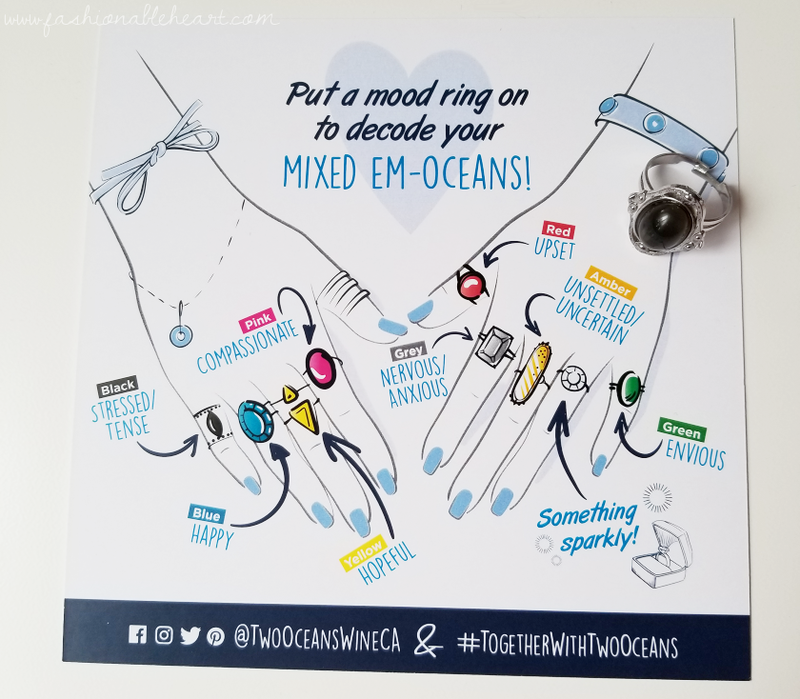 They also sent a mood ring. I don't think I've had one of these since middle school and I was obsessed with them then. Do they always turn the same color for you? Because mine always turn blue, which judging by the guide below, is not a bad thing at all. I'll take happy! 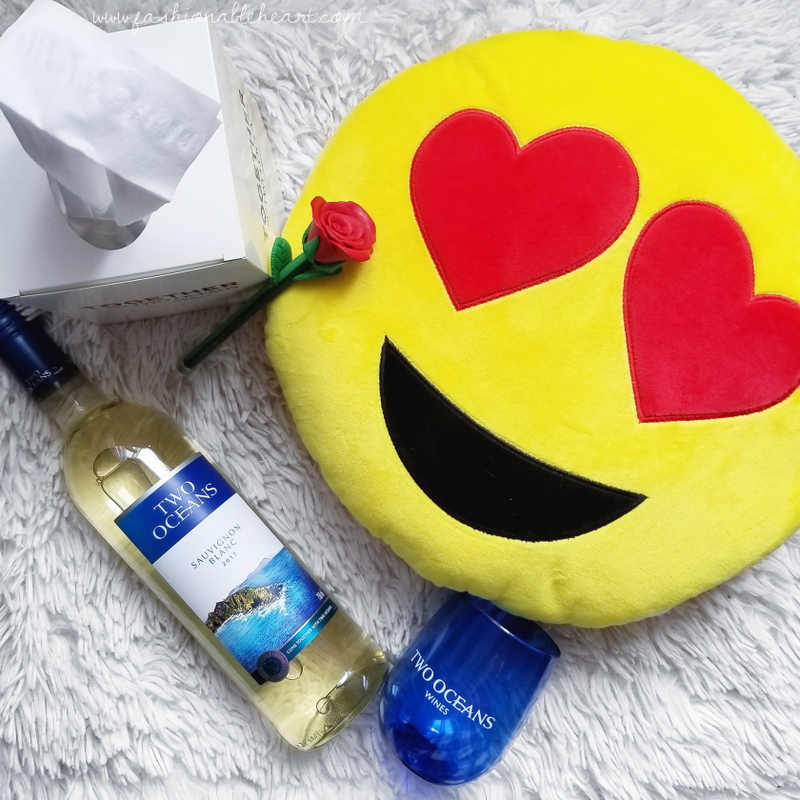 And capping off the basket, there's two stemless wine glasses and a bottle of Two Oceans' Sauvignon Blanc. Make a cheese and cracker plate to go with a chilled Sauvignon Blanc and you can't go wrong. In Ontario, you can find Two Oceans Wines at your local LCBO. Speaking of Sauvignon Blanc, one of the notes is gooseberry. One of my other favorite guilty pleasures is Britcoms. I live for British humor! My absolute favorite is Keeping Up Appearances and there is one episode that never fails to make me laugh until I'm nearly crying. Hyacinth gets drunk on a bottle of gooseberry wine and hilarity ensues. Highly recommend watching it! You can catch The Bachelor Canada on Wednesday nights on the W Network, but you can also watch it online. Who is your favorite Bachelor or Bachelorette contestant from any of the series? I'm such a sucker for Jillian Harris. I adore her! And since I was talking about a few of my guilty pleasures, I'd love to hear about one of yours!